Covent Garden Chamber Orchestra is delighted to support the City Chamber Choir celebrate their 30 year anniversary at the magnificent Actors' Church in Covent Garden. The programme spans a wide range 20th century choral music by British and Irish composers including the premier of a new work by Samuel Wilson. City Chamber Choir is a highly professional amateur group with a membership of 25–30 singers, which rehearses weekly in the City of London. Music Director Stephen Jones founded the choir in 1987 to explore neglected repertoire, especially British 20th century works. Since that time CCC has given many performances of little known, but beautiful and impressive music. As a result, the choir has been awarded PRS Choral Enterprise Awards on six occasions and has been invited to record by the British Music Society. In 1996, the choir won the Choir of the Day award in the regional heats and reached the semi-finals of the Sainsbury’s Choir of the Year competition, appearing on BBC television. He studied piano and singing at London’s Trinity College of Music, and has sung with the London Sinfonietta, Collegium Musicum of London and the choir of St Peter’s, Eaton Square. Between 1973 and 1981 he was a deputy vicar choral at St Paul’s Cathedral, Westminster Abbey and Westminster Cathedral. Stephen has been Musical Director since 1994 of one of Hertfordshire’s premier choral societies: the award-winning Aeolian Singers. As a conductor and chorus master he has worked with several top choirs. He is also a tutor on the Association of British Choral Directors’ conducting and accompanists course. Stephen has conducted massed choirs in a performance of Handel’s Messiah for the British Council for the Prevention of Blindness and many concerts with massed choirs of young people. As a choral animateur he has worked with the British Federation of Young Choirs, the National Association of Music Educators, Schools Music Association and the Open University. His expertise also extends to light music: he was a member of the close harmony male voice quartet Original Blend, who made frequent radio and television appearances. 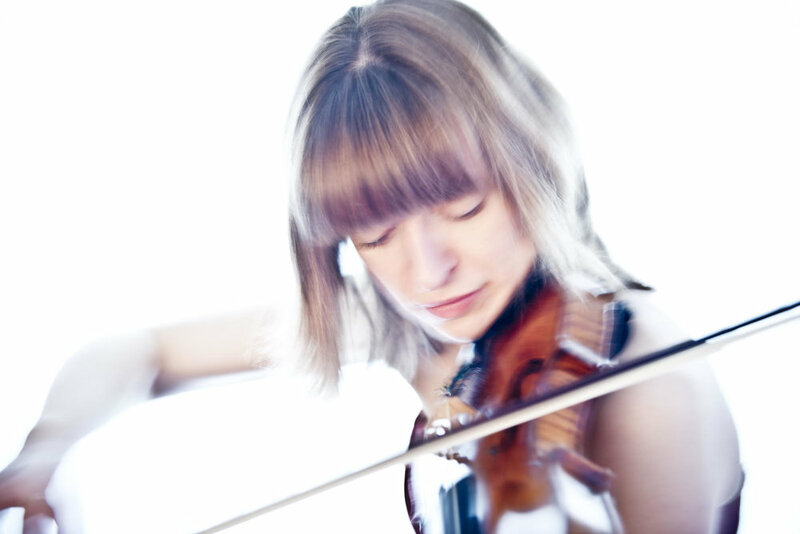 With playing described in the press as ‘alluring’, ‘unforgettable’ and ‘a wonder’, violinist Fenella Humphreys enjoys a busy career combining chamber music and solo work. Performances have taken her around the world to venues including the Wigmore Hall, the South Bank Centre, and the new Helsinki Music Centre. She has broadcast for the BBC, Classic FM, DeutschlandRadio Berlin, West-Deutsche-Rundfunk, ABC Classic FM (Australia) and Korean radio, and performed the Walton Concerto at the composer’s home at the invitation of the Walton Trust in a performance that was recorded by Canadian TV. Fenella performs widely as soloist. Her first concerto recording, of Christopher Wright’s Violin Concerto for Dutton Epoch with the Royal Scottish National Orchestra and Martin Yates was released in 2012 to great critical acclaim (“Fenella Humphreys’s performance is a wonder” International Record Review; “Fenella Humphreys captures the music’s wistful cantabile to perfection, producing a golden tone in all registers with the utmost sensitivity to where every phrase is moving.” The Strad Magazine), and was selected as Orchestral CD of the Month in a 5 star review in the BBC Music Magazine. A number of eminent British composers have written works for Fenella, both in her own right and as a former member of the Lawson Trio. During 2014/15 Fenella premiered Bach to the Future, a set of 6 new unaccompanied violin works by Cheryl Frances-Hoad, Gordon Crosse, Sally Beamish, Adrian Sutton, Piers Hellawell and Sir Peter Maxwell Davies. The project has so far seen performances at Aldeburgh, St. Magnus Festival, Presteigne Festival, Ryedale Festival, The Forge, Manchester University, Queen’s University, Belfast etc. and is to be recorded over two CDs for Champs Hill Records. A “radiant recording” with “golden precision and effortless virtuosity” (Five Stars, The Scotsman) the first of these discs, released in August 2015 was picked by BBC Music Magazine as October’s Instrumental disc of the month. The recently released second CD received the same accolade in January 2017’s issue, and was Editor's Choice in Gramophone Magazine in February 2017. Fenella is a passionate chamber musician, enjoying performances with Ensemble Perpetuo, Counterpoise and I Musicanti as well as collaborations with artists including Alexander Baillie, Adrian Brendel, Pekka Kuusisto, Alec Frank-Gemmill and Martin Lovett, and is regularly invited by Steven Isserlis to take part in the prestigious Open Chamber Music at the International Musicians’ Seminar, Prussia Cove. Concertmaster of the Deutsche Kammerakademie, Fenella also enjoys guest leading and directing various ensembles in Europe, and can be found playing Tango in duo and larger ensembles with the great Uruguayan bandoneonist, Hector Ulises Passarella.